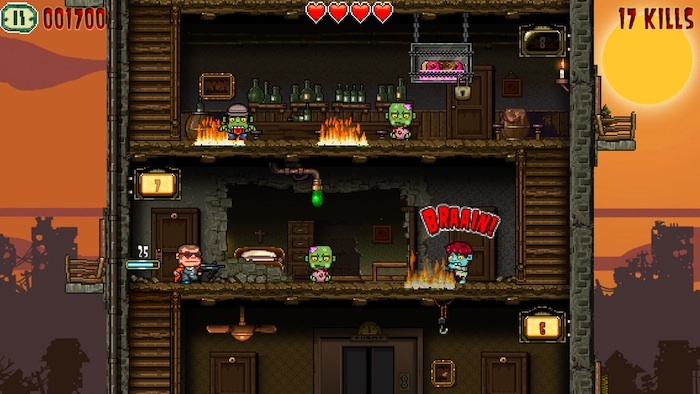 Crazy Bill is a new zombie game Pixel Art, where we will find a way of "infinite run" something different, the goal will be to upload as many plants as we can at the luxurious Palace Zombie Star. The grace of the game, in addition to its style, we'll have to go "crowning" different floors and we will find celebrities at its most rotten, like the zombie version of Elvis, ET, House or Marylin Monroe. 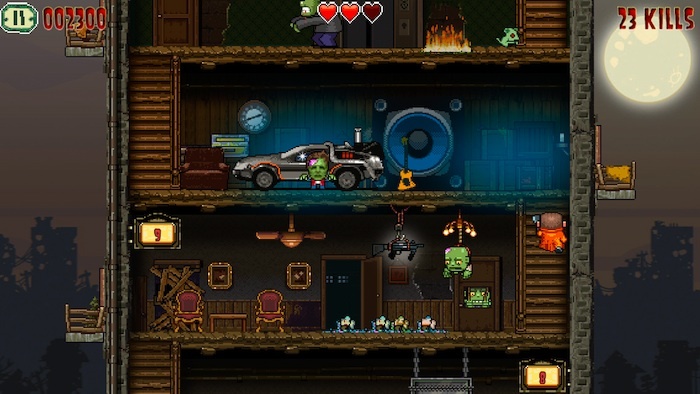 "Only the biggest stars in the world zombie can stay in this luxurious hotel. We reserve the right to refuse admission to humans because its aroma fresh brain disrupts the "rest" of the most illustrious zombies. " The basic movements are typical in this type of game and can jump or shoot at the touch of a portion of the screen or another. Fortunately, in our climb we will getting money we will unlock new weapons and aid, as the hook for climbing or gun freezing, we make it easier for our crusade. 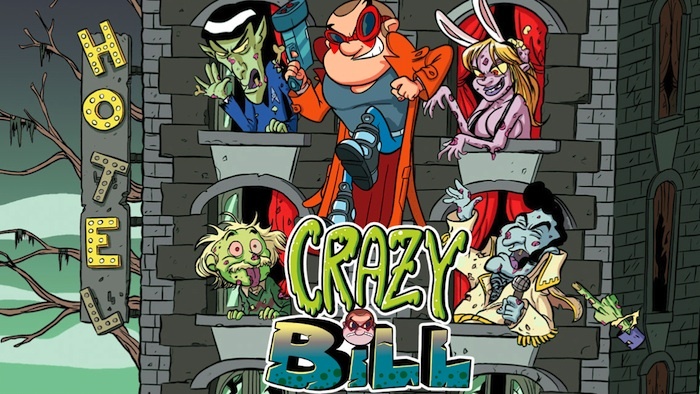 Crazy Bill also is free and universal, so if you like the graphic style and theme, I highly recommend it to spend time dead.